The countdown is on! In less than 24 hours we will be on the plane and heading to Malaysia for Formula Drift! 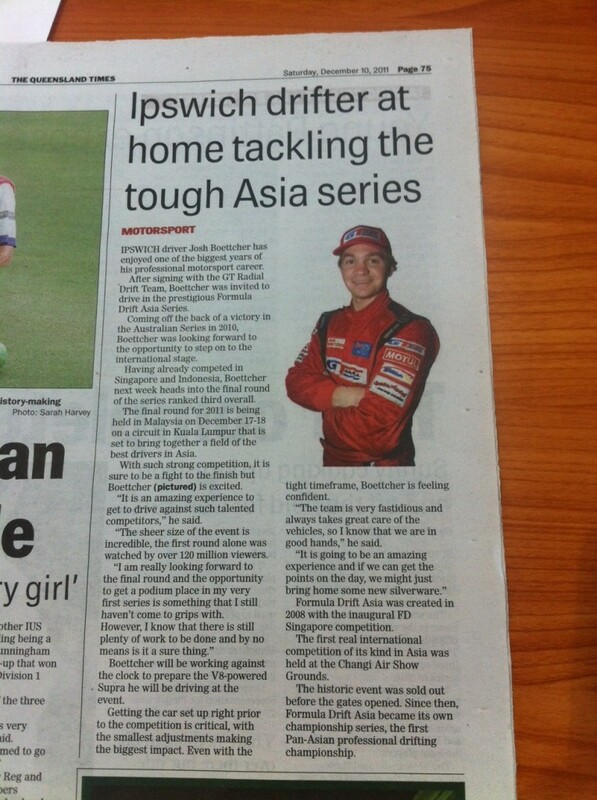 We were featured in the Queensland Times over the weekend, we really appreciate the local support!